Inspired by the lush Australian rain forest, this pendant is sure to stun. 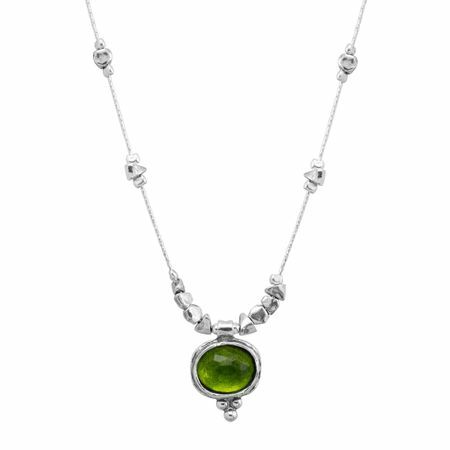 A green quartz is accented along the chain with geometric beads, all crafted in sterling silver. Pendant measures 13/16 by 9/16 inches. Necklace measures 18 inches long, plus a 2-inch extender for adjustable length, and features a spring ring clasp. Piece comes with a ".925" sterling silver stamp as a symbol of guaranteed product quality.